How’s your summer going?? Hit the point where you’re looking for things to do? 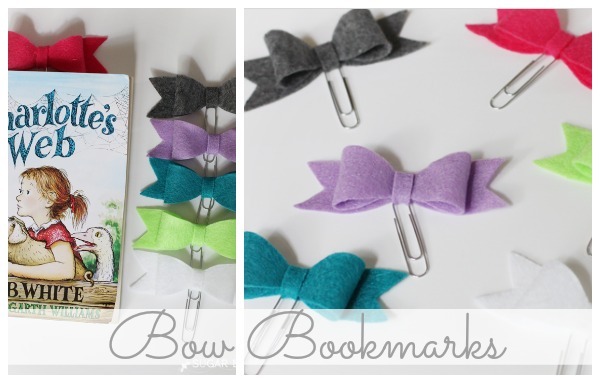 Reading is always great, and so is crafting, so today I have a project that unites the two – – a super cute, super easy Bow Bookmark that you’re going to love making and using! 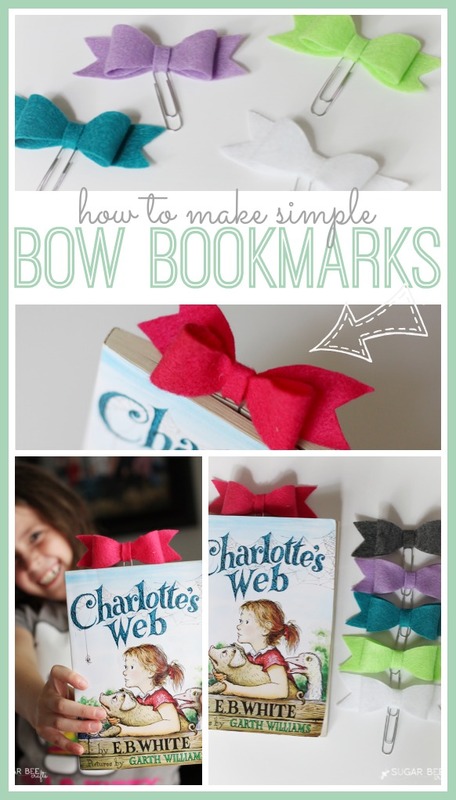 These are super fun – – simple to make, and fun to use. 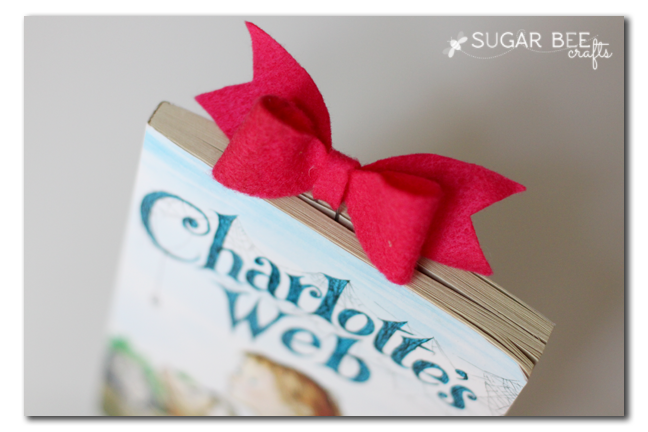 The paperclip slips down into the book, which allows the bow to sit on the top. Awesome. 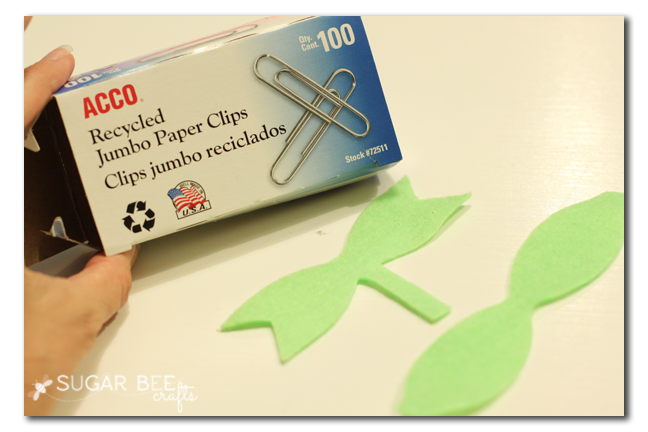 But towards the end, when you’re wrapping the middle tab around to hold the loops and tails together, slide on a Jumbo Paper clip first, as shown below. 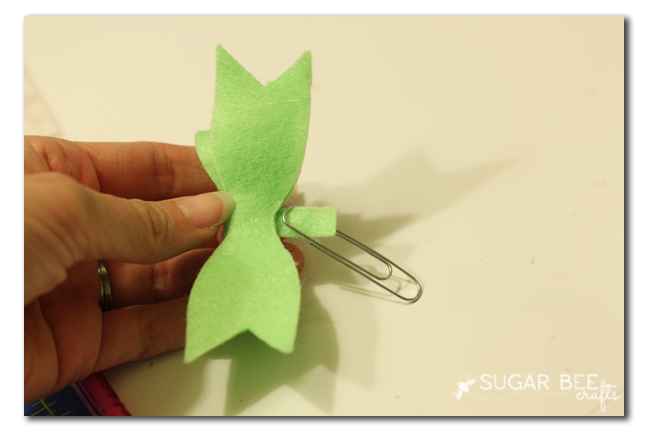 Then attach the end of the tab around on the back with hot glue like normal. 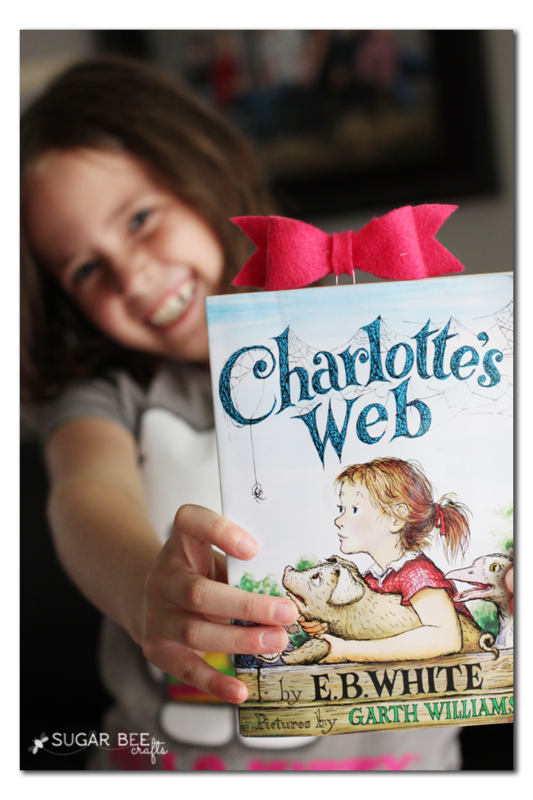 And enjoy them time and time again as you and your kiddos enjoy reading this summer. I love reading!! yep! I love them too! Can u make a tutorial if the bow can be done in any other material… maybe cloth ? it works well with felt because the edges don’t fray and it’s a little thicker. if you try it with cloth, let us know how it turns out! I saw when you posted a pic of this on instagram ages ago (May?) and loved it. Then I had to make a graduation cake and needed a bow…I totally did it this way and it was SO easy and SO cute!!! Thanks for sharing. ooh, it turned out great! fun use for it! 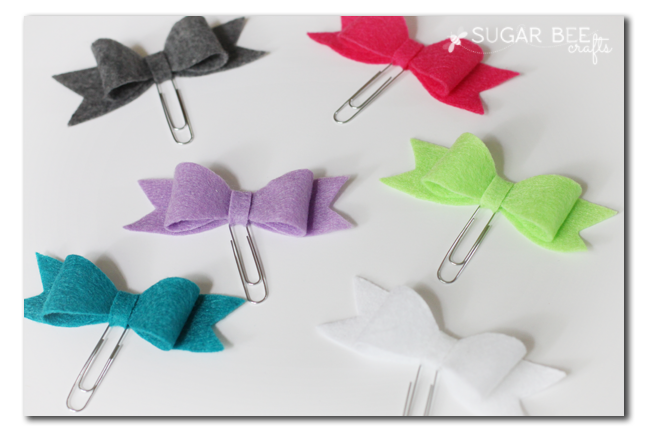 how do you cut felt for the bow? did I miss the template?